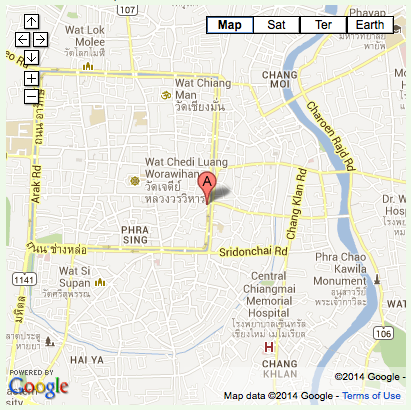 Kanchanaburi is located 130 km west of Bangkok. 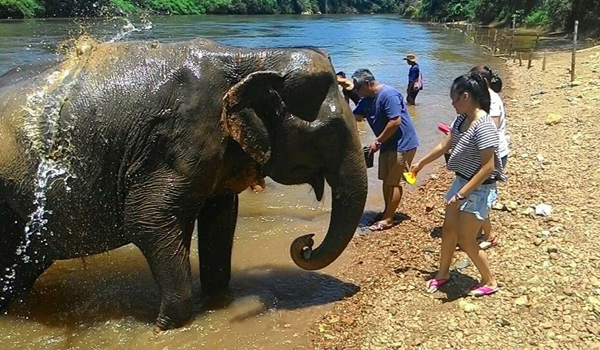 Our team from Elephant Nature Park have been working together with the mahouts at Sai Yok trekking camp in Kanchanaburi to taking the chain off and bring a freedom of life to the elephants. 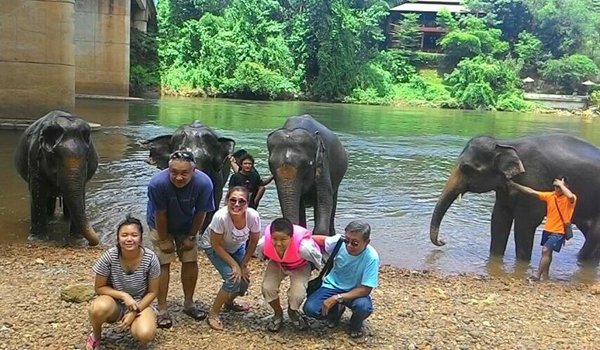 Yesterday was a first opening day for Single day and Overnight visit at Elephant Haven Sai Yok Kanchanaburi Project. Thank you to all our guests whom supported our project. 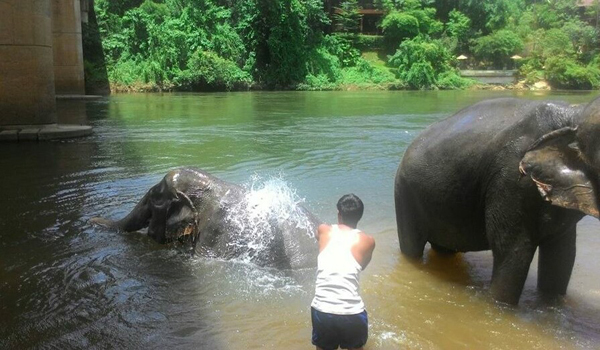 Our elephants were very happy to be free and our guests also enjoy to watch elephants in the beautiful jungle. It is a wonderful beginning to save our beautiful creatures. 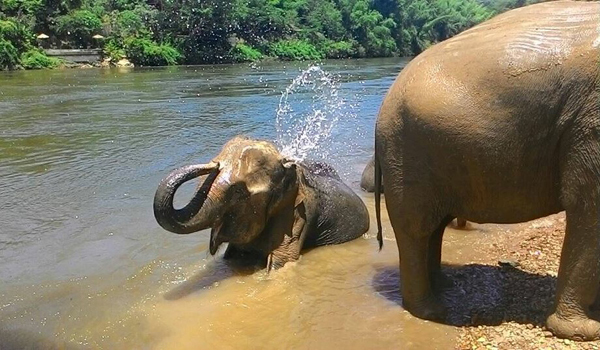 Your visiting can help us to save more elephants, they are still waiting for a chance to be free. 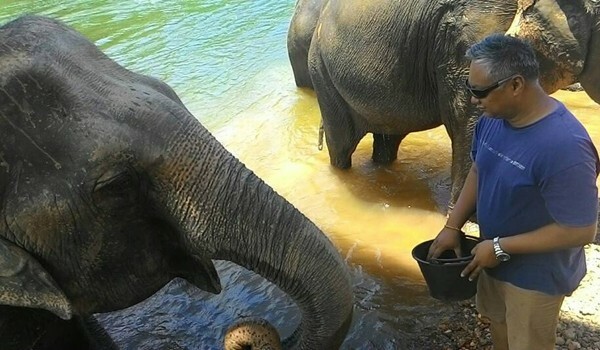 Sook Sai is falling in love with our cutie elephant, Navann. 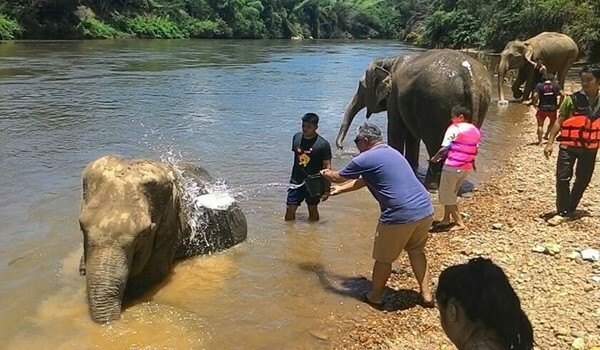 Elephant Nature Park’s 12th Anniversary. 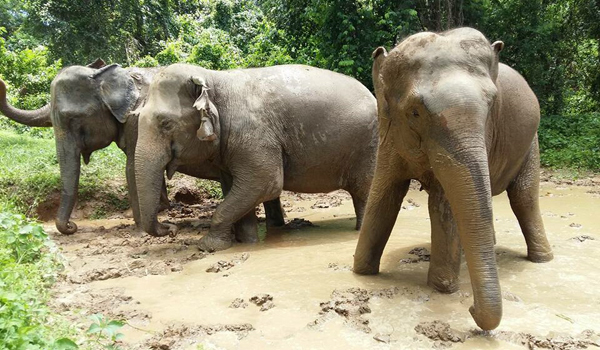 Our grandmother elephant, Mae Thai is on an intensive care program at Elephant Nature Park.